I tested this recipe a bunch of different ways to make sure it was absolutely perfect for you. Originally, I wanted to make coconut flour scones but no matter what I did, the flour just wouldn’t cooperate. The consistency was off. I’m sure it would have all come together had I used almond flour, but I wanted to make the coconut flour scones nut-free, too. So almond flour was out of the question. In the end, I decided to make paperless, muffin tin(less) muffins. 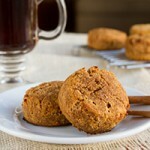 Very much like my Ginger Spice Muffin Tops (also paleo, grain-free and gluten-free) but a bit more dense and hearty. Hold on to your hats. 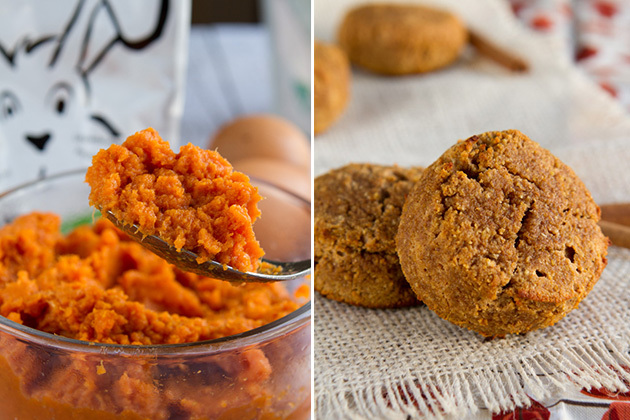 I have so many delicious pumpkin recipes coming this month! Cookies and curries, grain-free risotto and more. It’s going to be one heck of a pumpkin-filled October. And, pumpkin isn’t pumpkin without pumpkin pie spice. Am I right? 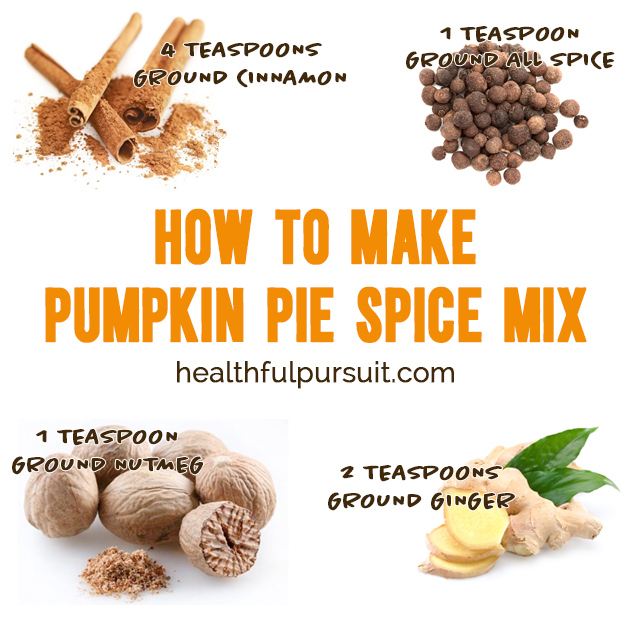 I made this handy, dandy little guide to help your whip up pumpkin pie spice mix in seconds so that your pantry is stocked and ready for any pumpkin action that comes your way. Okay, now to the mounds! 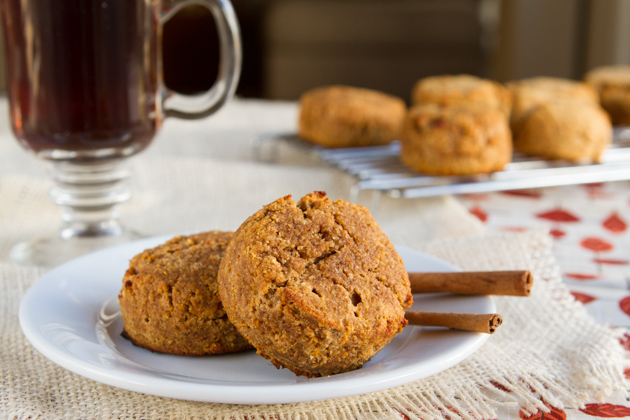 Scone-like muffins made with coconut flour, pumpkin puree, and a healthy dose of pumpkin spice. 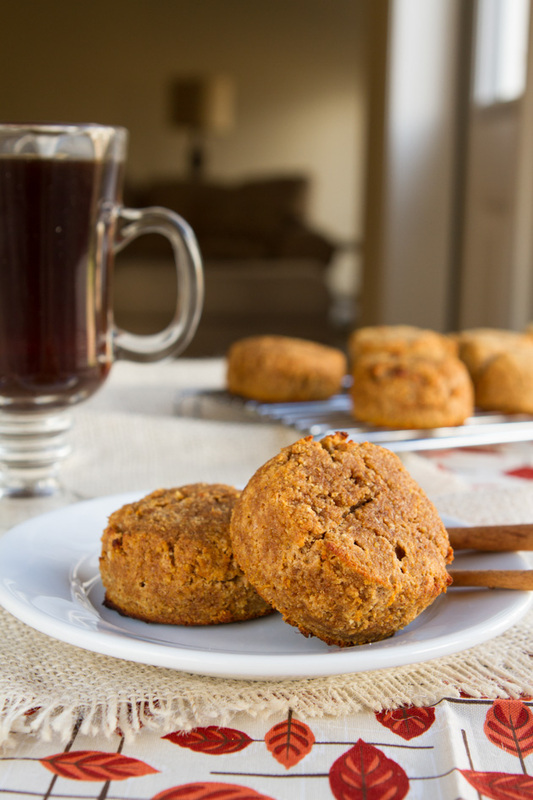 They’re crisp on the outside, and muffin-like on the inside. Perfect for breakfast, snack or dessert with a little whipped coconut cream on top. 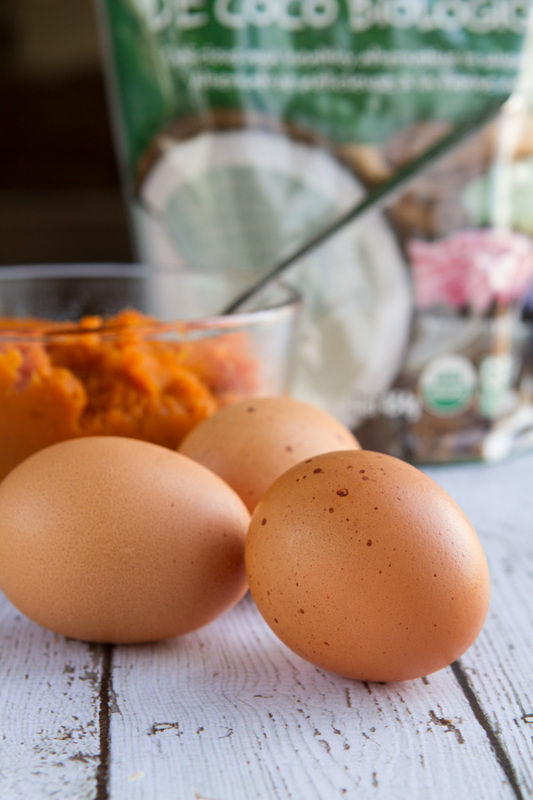 In the bowl of your stand mixer, add eggs, pumpkin, honey and vanilla extract. Beat until well combined. 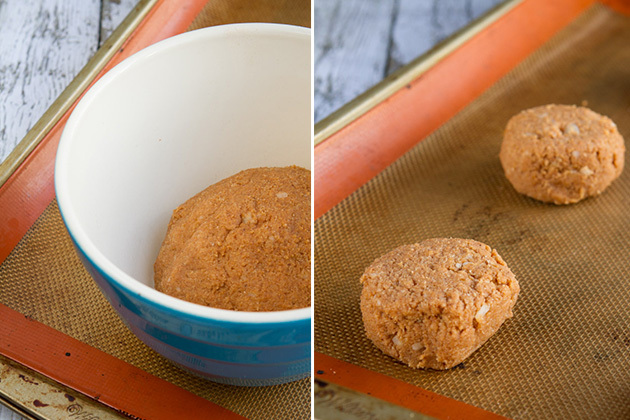 Stop the mixer and add in coconut flour, pumpkin spice, baking soda and salt. Turn on your stand mixer again and mix until combined. Drop in coconut oil pieces and mix until everything is incorporated. Using a ¼ cup measuring cup, scoop dough into the cup, press the top with your hands. Then flip the dough out on to the prepared baking sheet. Bake in preheated oven for 20-25 minutes until tops are golden. Remove from oven, allow to cool on the baking sheet for 10 minutes before transferring over to a cooling rack to cool completely. Pumpkin Spice - if you do not have pumpkin spice, you can make your own by combining: 1½ teaspoons ground cinnamon, 1 teaspoon ground ginger, ¼ teaspoon ground nutmeg and ¼ teaspoon of ground all spice. Use the full amount in this recipe. Eggs - coconut flour requires a lot of eggs. I bet you could replace the 3 eggs in this recipe with ¾ cup of egg whites, however I have not tried it. I do not recommend replacing the eggs with chia or flax eggs. Stand Mixer - if you do not have a stand mixer, no worries! You could use your food processor or hand mixer... or your hands! I used farm fresh eggs for this recipe. Just look at those gorgeous spots! As you can see from the image above, the dough can be formed into a ball really easily and should be relatively easy to work with. I would love to know – do you enjoy pumpkin? Are you in the festive Fall spirit? Any big plans for October?